The name of the great couturier Christian Dior is a synonym for art of perfume and fashion, a man who, fascinated by women and flowers, proclaimed: “After women, flowers are the most lovely thing God has given the world.” With the aim of composing the fragrance which will make women who wear it distinguishable and believing that a scent tells more about the woman then her hand writing, Dior has embedded flowers in his wonderful perfumes. As with his designs he tried to beautify women, he wanted them to smell divine as well. “Perfume is the indispensable compliment to the personality of women, the finishing touch on a dress.” Together with his first New Look collection which enchanted and leaved the world breathless, he presented a perfume that is equally delightful 70 years later and doesn’t descend from the throne of the best: Miss Dior Eau de Parfum. The reason is elementary - a perfume that smells like love will disappear from this world only if love itself disappears. And they did, they devised a perfume rooted in lulled Provencal evenings fraught with fireflies, with a whiff of green jasmine as an equilibrium of the night and Earth melodies. Dior has stated:“For a long-lasting perfume, it needs to be loved for a long time by those who created it.” Miss Dior is a scent that Christian cherished and nurtured long before its revelation. The only thing that was missing was the name, and how it came to him is a very interesting story. He pondered several options, until one day his sister entered salon in Avenue Montagne 30 and his friend and muse Mitzah Bricard exclaimed: “Oh, miss Dior is here!” In that exact moment everything became sensible and the iconic perfume was created, the scent of boldness, renewal and freedom, the fragrance of love and the force of life. 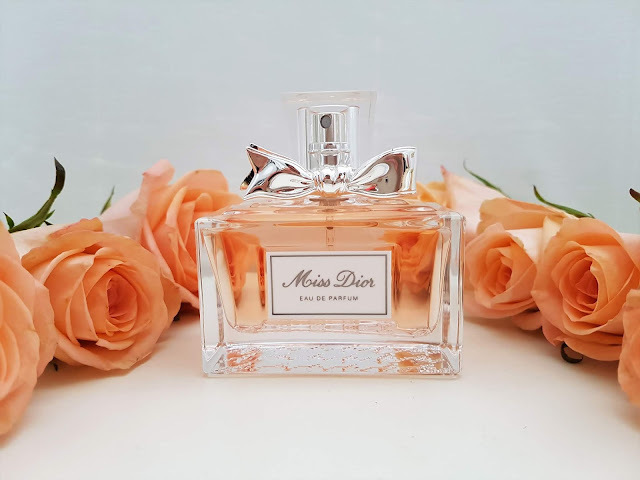 First Miss Dior, inducted in 1947., contained notes of gardenia, bergamot, rose and jasmine, the same flowers that grew in the gardens where Dior’s family spent their summers of which charming memories remained. Nowadays François Demachy, the perfumer of house Dior, weaved fresh and sensuous rose cut like the dazzling ball gown. 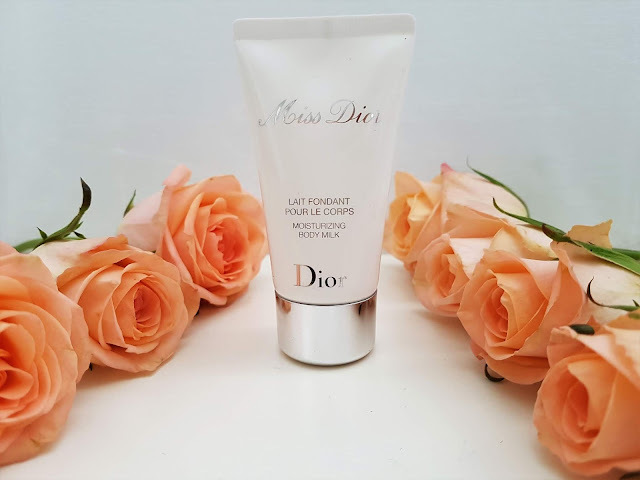 “I refined the florality of Miss Dior Eau de Parfum to render it sensual and suggestive. It had to burst like that feeling of falling head over heels. 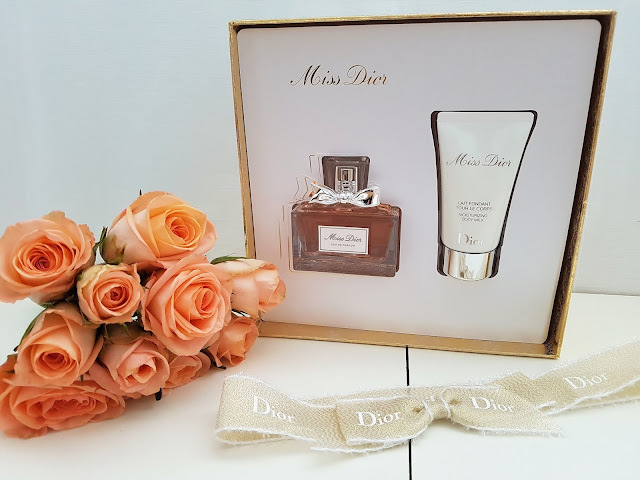 A declaration of love, to love!” New Miss Dior expose femininity and sensuality, its soul is a flowery parole of a combination of pulchritude and audacity of the Grasse and Damascus roses, entwined and refreshed by flows of Calabrian bergamot, wreathed by rosewood from French Guiana and pink pepper from Reunion Island. Its exalted character will pierce you with love, shuffle your emotions and express your personality. 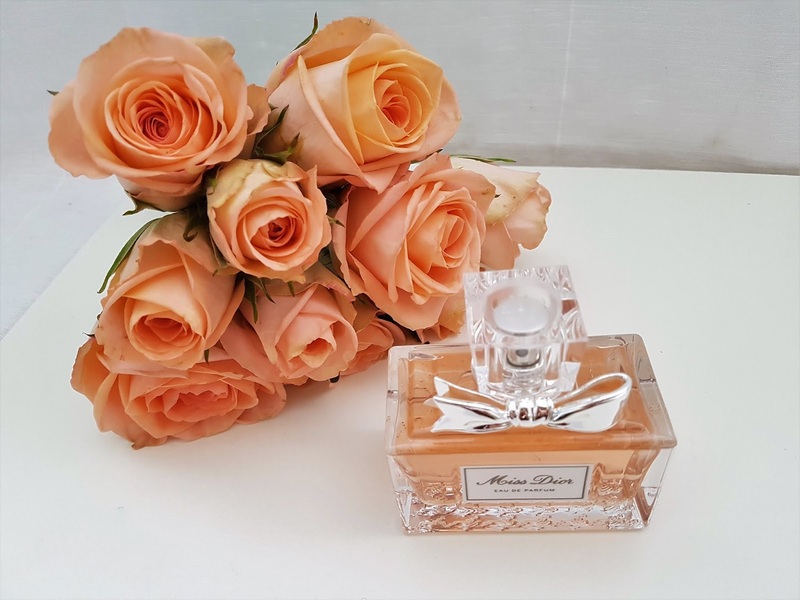 Vibrant rose chords are pulsing at the very core of all Miss Dior perfumes: Eau de Parfum, Eau de Toilette, Absolutely Blooming and Blooming Bouquet. I adore each of them evenly! Every mentioning of this perfume pictures a rose in front of my eyes. As petals that gradually open up and unveil their graceful fairness, it is likewise gentle, lightweight, supple and layered. However, when the story behind the name and the person who served as an inspiration, as well as her strength and life is more closely studied, the rose flower is completed by a thorny stem that stings and whittles anyone who approach it. Also, understanding the circumstances that emerged it, thorns may depict the war from which originates a desire for life, happiness and contrivance of something beautiful – a sublime and fragrant rose that symbolizes love. Roses are my dearest and favorite flowers and every perfume with that scent captures me thoroughly. That’s why I’m unable to describe how much I love it! If some perfume can delineate a person, this one unmistakably adumbrate me, it’s my trade mark, reflect my personality and spirit and I can wear it in all seasons. 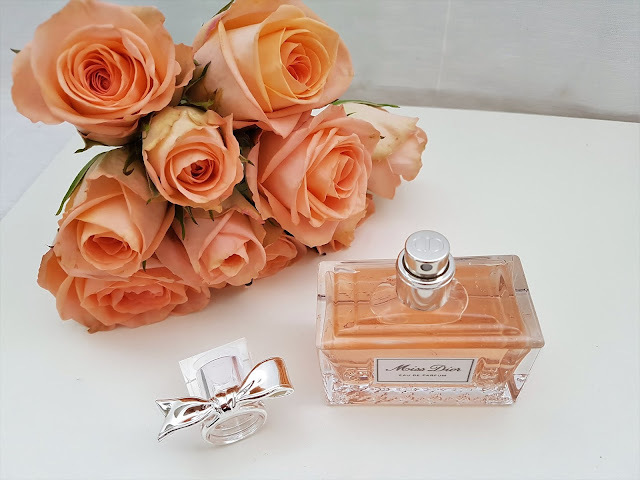 Rectangular bottle made of transparent glass with a silver bow on the stopper which provides a dose of muliebrity and discernible authenticity, is so uncomplicatedly classy and sumptuous and a perfect silhouette of Dior’s mastery artwork. I bought the perfume in Christmas gift set and along with it gotten a Moisturizing Body Lotion of identical aroma in alluring box. Its texture is supremely soft, it smears easily and absorbs quickly, producing a strong odor because of which I received compliments and inquiries as to what perfume I’m using, although I only had a body lotion at that instance. I’m of judgement that they smell more intensely in relation to perfumes, while simultaneously hydrating and smoothing the skin. With the launch of the perfume a campaign was initiated in which by every post on Instagram that uses #DiorLoveChain one US dollar will be donated to We Movement, a charity organization that ensures education, food, clean water, health care and economic boost to all those in dire need. In that way house Dior indefinitely prolonges the tradition commenced in 1947. by its founder – to make the world a better and nicer place. 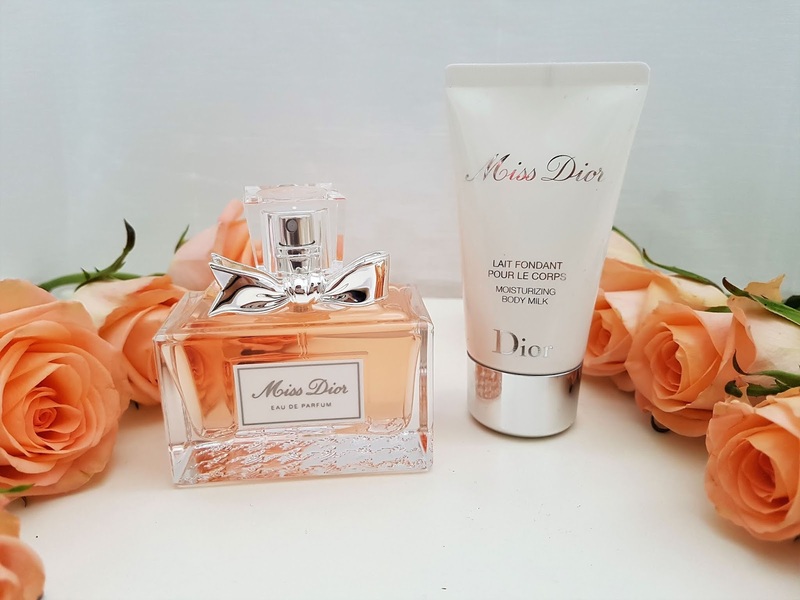 Have you tried Miss Dior Eau de Parfum or some other of that rank? What are your impressions? Write me in the comments. Dior is a lovely perfume. Thanks for sharing. You are welcome, dear! I completely agree with you that Dior have amazing fragrances! Bet this smells lovely! That bow is so festive on the knob! You are completely right. This fragrance smells amazing. I also love bow, it is so beautiful, luxurious and elegant. Oo I love this one! The packaging is darling and the scent is great! We share same opinion about this fragrance. I also love it from bottle to the scent - everything is perfect and gorgeous! What a lovely gift set! It's perfect for the holidays. I adore that bottle especially! I completely agree with you. This is perfect present for Christmas or New Year. I also really love bottle, it is simple but in same time so luxurious and beautiful! You are welcome, dear! After I discovered background of Miss Dior fragrance I love it even more. 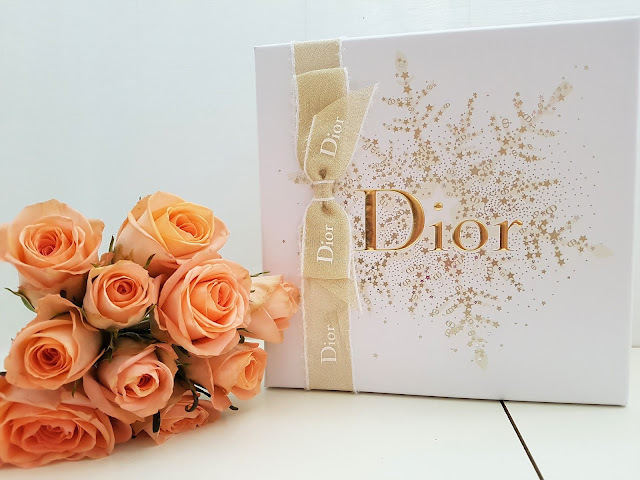 Yes, packaging in so beautiful and luxurious in Dior style. We share same opinion about this perfume, dear Amra! that's so pretty! I need to try! when you try it I would like to hear your opinion about it and do you like this fragrance as much as I do. OMG it's so pretty! Def. need to try it! Miss Dior is amazing fragrance from bottle to scent. When you try it I would like to hear your opinion about it and do you love it as much as I do. Oh, I love love the perfume so much, dear! We share same love for this fragrance, dear Vanessa. When you try this fragrance I would like to hear your impressions about it. We share same love for Dior perfumes. I adore them! I'm happy to hear that because this is also one of my favorite perfumes. When you try this perfume I would like to hear your opinion about it. 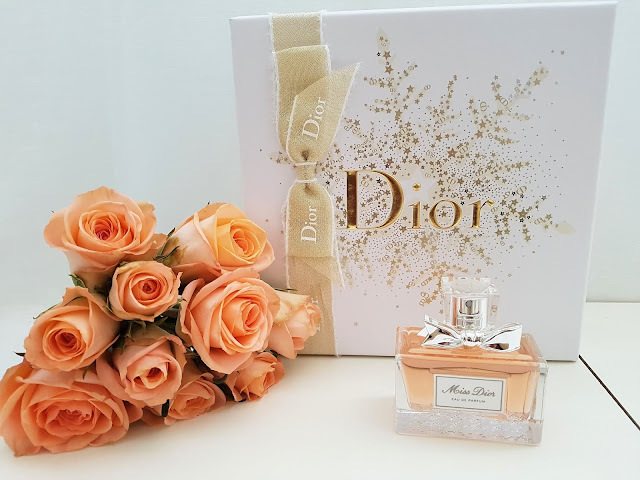 It have amazing scent and it is one of the most famous Dior fragrances! I completely agree with you, dear Anete! I'm happy to hear that you like photos. Scent of this fragrance is amazing, I also really love it. I love this perfume. It's really amazing. And the packaging is so nice. We share same opinion about this fragrance. When I saw packaging it was love at first sight, it is so luxurious and amazing, as well as perfume inside. I love the sweet smell of this scent, brilliant review thank you for sharing! Thank you so much for your beautiful words! I really appreciate it and they mean a lot to me. I also really love scent of this fragrance, it is so wonderful, one of my favorite. Love this fragrance so much! Have a lovely week. We share same love for this fragrance. Miss Dior is my favourite scent and I love it to bits! Got to get me that gift set. I'm happy to hear that you love Miss Dior as much as I do. Uau, que sonho esse perfume. This fragrance is really amazing! One of my favorite! I'm happy to hear that because I also really love it. It is one of my favorite. I'm sure that everything what you hear for this fragrance is true, because it is amazing! Hello, I do not know the fragrance of this perfume, but I have to say that one of my favorite perfumes is from D'ior and I love it with passion. Thank you so much. I'm happy to hear that you like photos. Dior have amazing fragrances and expect this one I have few more favorite from Dior. The packaging is so cute and love Dior perfumes. We share same love for Dior perfumes and same opinion about packaging. It is really amazing. I really appreciate your again so detailed review! I never had a perfume from Dior so far ... I really should try this out! Thank you so much for your kind words, dear Rena! They mean a lot to me and I really appreciate it. When you try this fragrance I would like to hear your impressions about it, and do you love it as much as I do. 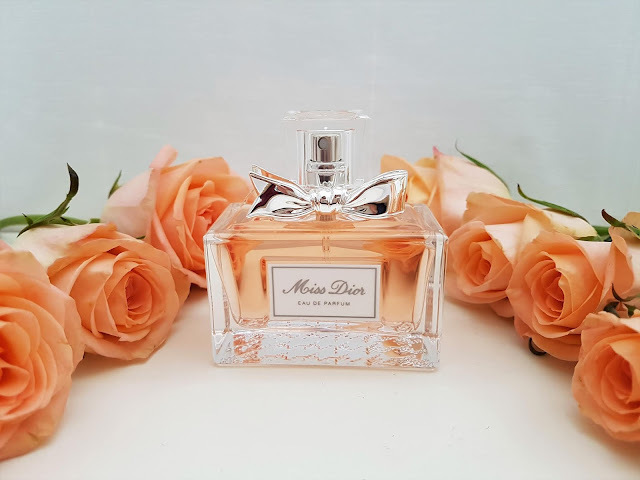 Miss Dior is an iconic fragrance, thank you for such an interesting and detailed review! You are welcome, dear Liz. I completely agree with you about iconic status of Miss Dior fragrance. Hi! I love Dior´s perfumes. And their packagings are so cute. We share same love for Dior fragrances! I also really love all of them, but Miss Dior is my favorite. Wish you beautiful day, dear! Thank you so much for your kind words! I'm happy to hear that you like photos! Totally obsessed with this fragrance! I'm happy to hear that, because it is one of my favorite fragrances. Wish you amazing day, dear Paola. What an interesting story behind this gorgeous perfume. I had no idea Dior's sister was held captive during the WW2, but it's great she was able to leave the horrors aside and help her brother in creating something beautiful. This perfume certainly sounds dreamy. Miss Dior's bottle is so gorgeous. Also, I was shocked when I found that information. Because life story of Dior sisters and background behind name of fragrance I love it even more. Bottle is so wonderful as well as fragrance inside. You are completely right. Scent of this fragrance is amazing. Looks great, thanks for sharing!! You are welcome, dear Paloma. Impressive history behind the fragrances. It makes wearing perfume that much more special. And the packaging is so classy and elegant. Thanks for sharing love. You are welcome, dear Pantene. Miss Dior is one of my favorite fragrances, but after I read background of fragrances name and life story of Dior sister I love it even more. This is such a beautiful box set! I imagine the perfume smells absolutely amazing! You are completely right! Fragrance smells gorgeous and this gift set is so beautiful, from box to products inside. We share same love for this fragrance! I also adore it, it is one of my favorite! I completely agree with you. This set is perfect gift for Christmas or New Year. The color of the roses reflects the color of the perfume - an ingenious ensemble! I'm happy to hear that you notice that! When I bought roses I searching ones that are similar with color of fragrance. I'm glad to know that you like it. Carinissima questa box!! 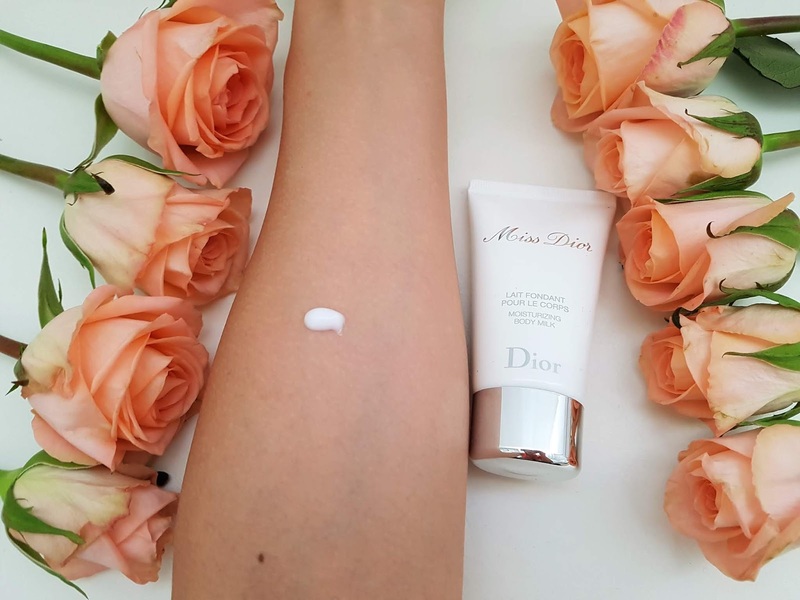 Io adoro il profumo miss dior! We share same love for Miss Dior fragrance. I'm glad to know that you like this gift set! We share same love for Miss Dior fragrance! It looks like a lovely set for Christmas and sounds like a nice scent! I didn't know about the history either, thank you for sharing! You are welcome, dear Mica. I completely agree with you. 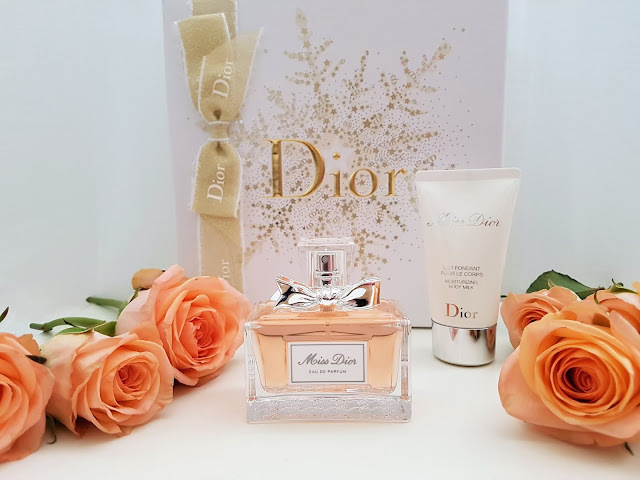 This fragrance have gorgeous scent and Miss Dior set is perfect gift for Christmas! You are completely right! Miss Dior have gorgeous and luxurious scent. I adore it. Wonderful stories you have here. I'm intrigued to sniff this perfume once again the next time I drop by a Department store. Great post! Thank you so much, dear! When you try this fragrance I would like to hear your opinion about it, and do you love it as much as I do. I also like fact that Dior help people in need. Because that information I love this fragrance even more. I completely understand why you are fan of this perfume. It is one of my favorite. Looks like a good smell by the look of it. You are completely right! This fragrance smells gorgeous! Hvala ti puno. Drago mi je čuti da ti se sviđa post i fotografije. I completely agree with you. This fragrance is amazing! When you check it I would like to hear your impressions about it! every time I see this perfume I fall in love with the packaging! It's so elegant! I completely understand you. Packaging of this fragrance is so elegant, luxurious and gorgeous. I adore it! When you try it I would like to hear your opinion about it. This fragrance look and smells gorgeous! I love Dior so much!! We share same love for Dior. 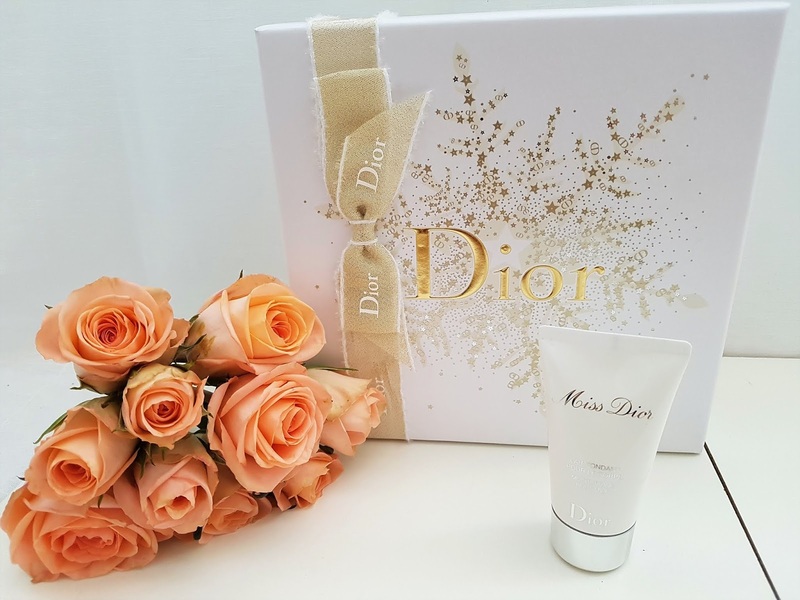 I adore make-up, skin care products and fragrances from Dior! I love this perfume. It's one of my favorites! I'm happy to hear that because Miss Dior is also one of my favorite fragrances! Great review dear, I loved the product packaging. Thank you so much for your kind words! I'm happy to hear that you like review. It mean a lot to me. I also really love packaging, when I saw it, it was love at first sight. You are welcome, dear Anya. I'm happy to hear that you like review. It mean a lot to me. I completely agree with you, this is really gorgeous perfume. Dior fragrances are an absolute dream and the packaging for this gift set is utterly beautiful, wow!! I completely agree with you, dear Gabrielle. Dior fragrance are one of my favorite. Dior always has great perfumes! I completely agree with you! Dior have such a gorgeous and luxurious fragrances! 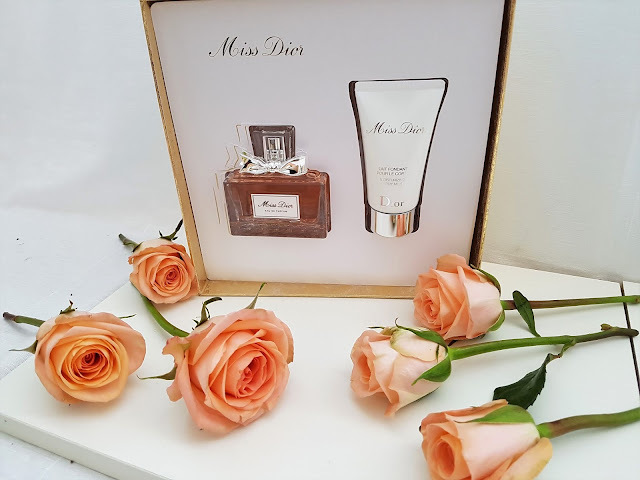 Miss Dior is amazing fragrance from bottle to scent, everything is so gorgeous and luxurious. I love this perfume, it's a shame that Brazil here is very muitpcaro. I'm glad to hear that you love this perfume, because it is one of my favorite. I adore it.